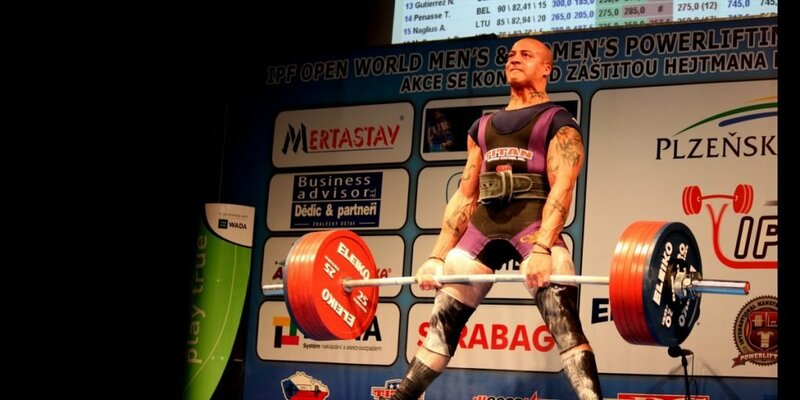 Any athlete who is using a substance listed on the World Anti-Doping Agency (WADA) Banned Substance List to treat a medical condition that has been diagnosed and documented by a medical doctor must declare that use to USA Powerlifting (USA Powerlifting), to the International Powerlifting Federation (IPF), and to WADA, at the discretion of the IPF. It is the responsibility of the individual athlete to be aware of the substances that he or she has been using or has been prescribed and to disclose such use to the agencies listed above. The athlete must submit the Therapeutic Use Exemptions(TUE) form with information, detailed below which describes the medical condition and the treatment required, to the USA Powerlifting TUE Committee not less than sixty (60) days prior to the intended competition. The WADA Banned Substance List is available at the U.S. Anti-Doping Agency website. It may be accessed through the Anti-Doping page on the USA Powerlifting website. Responsibility for the substances and medications used by an athlete is the sole responsibility of that athlete. Those competitors using medication to treat a legitimate medical condition must examine the Banned Substance List to determine if use of such medication will require a TUE. Failure to do so may and probably will result in disciplinary action should the athlete be found using such a substance. ATHLETES PARTICIPATING IN USA Powerlifting SANCTIONED EVENTS MUST SUBMIT THEIR TUE APPLICATIONS TO USA Powerlifting (NOT USADA). A useful reference is the U.S. Anti-Doping Agency Wallet Card. Glucocorticsteroids by non-systemic routes of administration are prohibited, although their use topically may be permitted if TUE is submitted. In general, any use of a prohibited substance may be allowed if the treatment is for a legitimate medical condition and the use of the substance will not allow the athlete a competitive advantage as a result of the use of the medication other than would be seen in a normal return to health. It should be noted that the treatment may be allowed if withholding the treatment would result in significant health impairment. Use of prohibited substances is not allowed to increase ‘low-normal’ level of any endogenous hormone. Additionally, a TUE will not be granted to treat a condition that results from the prior non-therapeutic use of a prohibited substance. No Therapeutic Use Exemptions will be approved for functional disorders, such as low testosterone or aging. You may not compete in USA Powerlifting while using these substances. To do so constitutes a doping violation. There are powerlifting organizations and competitions which do not prohibit the use of these substances, or allow waivers. You are encouraged to compete with these organizations. The information considered in an Abbreviated or Full TUE process will be held in confidence by the USA Powerlifting TUE committee, and by the USA Powerlifting Executive Committee, the IPF, and by extension, WADA. The athlete will be required to sign a release of information allowing exchange of information among the USA Powerlifting TUE Committee, the IPF, and WADA. Notification of the granting of a TUE will be allowed to the USA Powerlifting Drug Testing Committee (which examines drug testing results and specifies disciplinary measures for USA Powerlifting competition), the IPF Discipline Committee (examines drug testing results and specifies disciplinary measures for international competition), and WADA, which maintains a clearinghouse on TUE’s granted. TUE applications which are incomplete will be returned to the applicant.